Richard L. Brown is a seasoned executive with broad experiences in all aspects of corporate operations and financial management. As a professional operator he brings the tenacity of running a multifaceted business to the required details for running a financial services business. Previously, Rich was the CEO of KEM Manufacturing Co. Inc. Through his carreer, while part of the management team, he held supervisory roles in finance, human resources, and in early 1989 Rich was promoted to President and CEO of the company. While at the helm, Rich guided the company to a tenfold sales growth and an enterprise that had approximately $40 million in revenue and a staff exceeding 300 people. Finally in 2005 KEM Manufacturing was sold. His insurance and securities career started in 2006. Rich had always liked the Human Resources side of his corporate life. He played an active role with employee benefit plans and various insurance programs. When his long time insurance broker, Andy Bluestone, asked him to join Selective Benefits Group in operations it was a natural transition. After a year in operations Rich migrated over to the production side of the business and obtained his insurance and securities Licenses. Rich now holds Life, Health and FINRA series 7, 63 and 24 licenses. He is contracted to conduct business throughout the United States with most major insurance carriers and is a Registered Representative of Ameritas Investment Corp.
Rich graduated from Syracuse University with a Bachelor of Arts in Selected Studies in law. He is a past member of the New Jersey Chapter of YPO (Young Presidents Organization) and Automotive Presidents Councils. He has sat on various boards including the River Road Improvement Corporation , a community redevelopment board in Fairlawn, New Jersey and the Endowment Foundation of North Jersey. 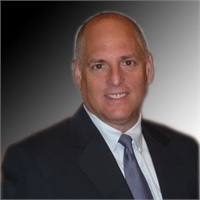 Rich is a native of New Jersey, has two college aged children, currently resides in Allendale, New Jersey, and enjoys sailing and skiing in his free time.